It's fall. I'm really enjoying the cooler weather. The cool breeze made me realize that the summer movie season is over, and although we don't go to the movies as much as we used to - I have to say my two favorite movies this summer were Guardians of the Galaxy and Edge of Tomorrow. Did you see these films? 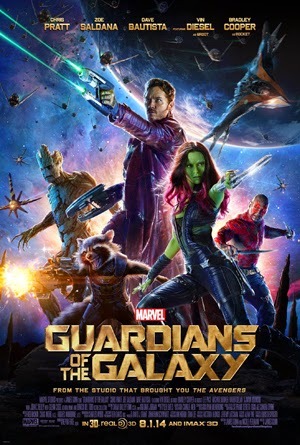 I didn't think I was a super hero kinda guy, but Guardians is an amazing film. I laughed. I might have cried. I was entertained. 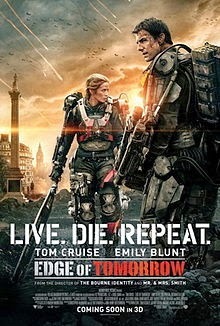 Stick with Edge of Tomorrow - I giggled the first ten minutes because it's hard for me to take Tom Cruise seriously nowadays, since he's been sending out the crazy/controlling vibe, but after I got accustomed to seeing Tom Cruise I was all in on this film. I actually don't know why Edge of Tomorrow didn't do better at the box office. It's interesting. It's fun.